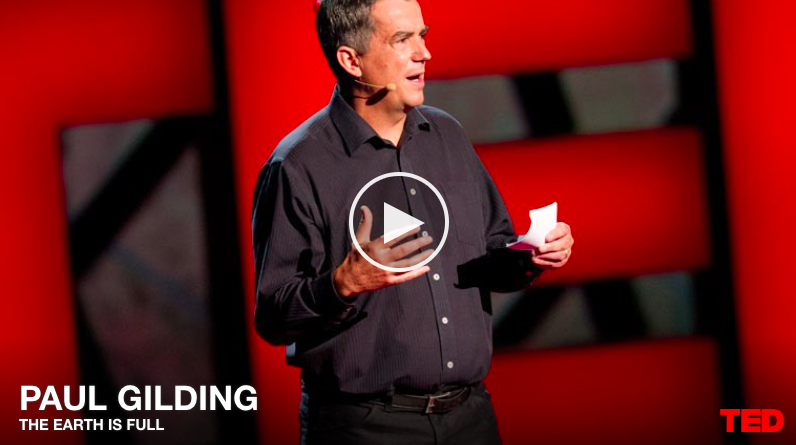 If you enjoy TED Talks as much as I do then you will certainly enjoy the following speech by Paul Gilding, a famous author (The Great Disruption) and consultant in the field of sustainability and resources. Although this TED is from 2012 it is still accurate today, when he states that human mankind uses Earths resources in a way that is not sustainable citing the outcomes from the resources of the Global Footprint Network, according to whom 1.5 Earths would be needed to sustain our current economy and will grow even more over the next decades. The Australian former executive director of Greenpeace International claims that it is not possible that ongoing growth will lead to a disruptions all over the world, and that only a big crisis can change the actual situation. Unfortunately his speech is quite general and gives not clear answers on the question “how could humanity grow up and leave this area of no limits?”. Personally I do not agree with Gilding on most of his statements because I think that he sees a lot of things in a very negative way (e.g. when he talks about the carbon bubble bursting or upcoming wars). What also bothered me while watching his speech was the necessity of a crisis from here earth and society should rise (somehow) like a phoenix from the ashes. I suggest you to watch the TED and let me know what you think about this thoughts of impact people like Gilding think on our planets future! ← Extreme weather is due to Climate Change. Really? !